Home » Android , Reviews , Tecno » TECNO BOOM J8 Review | Full Specs & Price - The Music Phone is Back! TECNO BOOM J8 Review | Full Specs & Price - The Music Phone is Back! The Music phone is Back! 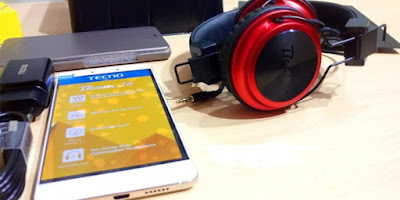 Tecno Boom J8 had been officially launched 31st March 2016, it is the successor of previous model Tecno Boom J7 that was released last year and we even reviewed here. We know the former Boom J7 smartphone raked a lot of users and after looking into this Boom J8 review and specs, we may comply that this might also yield same good results, probably because too many people love music and this device satisfies that criteria very well. Below we have the Boom J8 smartphone's photos, specifications, reviews and price, you can check it out and order from Nigeria, Ghana, Kenya or where ever you are. PRICE & WHERE TO BUY: Price of The TECNO BOOM J8 is Sold for 46,000Naira. After observing the Tecno Boom J8 we surely agree that it packs some improvements over its predecessor, the design is premium and the feel too should be that way considering its material build, however we are waiting for the moments when these manufacturers will produce an awesome design without copying the likes of iPhone 6, either ways this design should be another reason why users will love the Boom J8. Secondly and in conclusion, we noticed a special headset, the Boom player headset, which looks visibly big and should produce quality sound for Music, we also found Tecno had finally installed its own custom UI based on Android OS known as HiOS user interface, this new innovation is present in the Tecno Boom J8 hence users should expect a whole new level of experience when using the device.